It was in the pub, sat at the bar, on a quiet winter’s eve, a couple of years ago, that an idea suddenly sprung to mind. 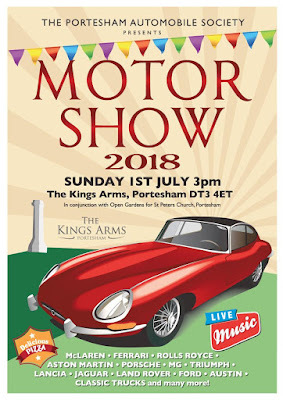 • You may not be surprised to learn that there are a fair few petrol-heads in our village, that love to show their pride and joys and enjoy seeing others display theirs. 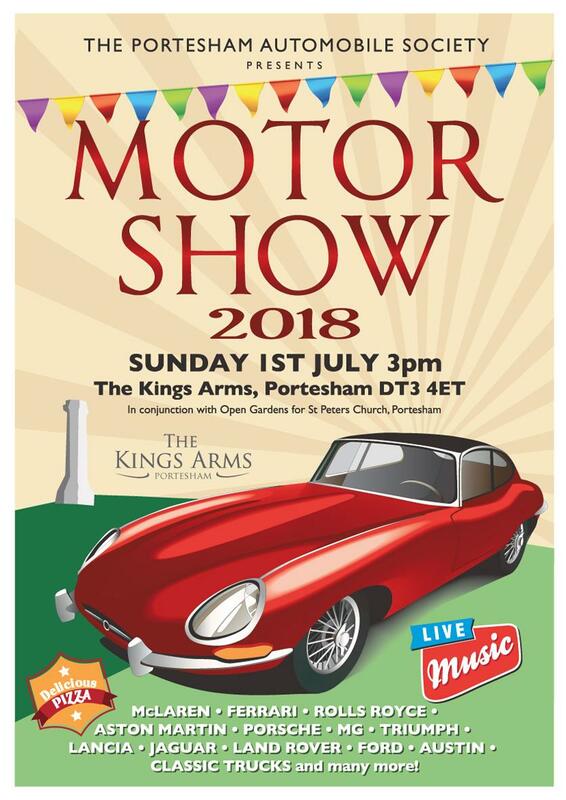 • The Kings Arms Public House has a delightful garden that is always open and when Jo & Lee confirmed they would be happy for it to become our show-ground the MOTOR SHOW was born, the inaugural one being MOTOR SHOW 2017. 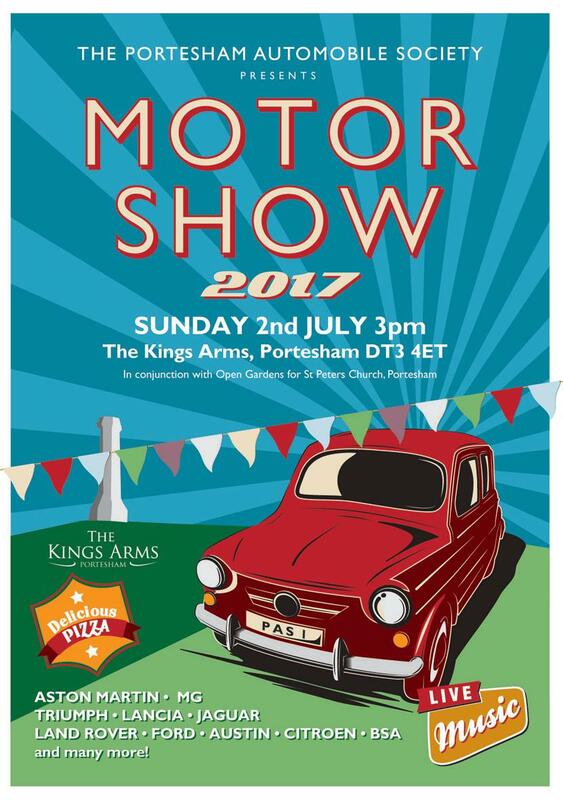 A group name was then needed, for those of us interested in motors, some of whom actually own one or two but that is definitely no prerequisite - it should be in keeping with a small and nostalgic village group, reminding people of a bygone age - the PORTESHAM AUTOMOBILE SOCIETY seemed as good a name as any other. However, the MOTOR SHOW is thus called so we may exhibit an eclectic mix and not just vehicles of a certain age, as is generally found in many a Classic Car Show. Anyone in the Chesil Bank Parish area (I realise it’s called the Portesham Automobile Society but that is simply because it’s where our main event will always be held) with an interest in motors, whether they be 2, 3, 4 or more wheeled (or none, it just needs a motor and we are unaware of any unicyclists in the area!) is very welcome to join us, our current members’ age range is 13 to 83! We now have two events under our belt, MOTOR SHOW 2017 and MOTOR SHOW 2018. Going forward, we hope to raise money which will initially help towards the running costs of the show and should we have any excess, will be donated to local causes of our choice. Email keith.brignell@sky.com for any further information.